The research into Pilates and Mental Health. There seems to be an obvious link between Pilates helping people wind down, relax, sleep better and reduce their stress levels. Just the act of slowing down your breathing, movements and bringing more awareness into your body is such a helpful principle. I love checking out the actual science on these things, so I’ve had a little search around and found a few articles. Here is a summary. 30 volunteers had their cognitive function tested after a yoga class, a treadmill workout and a baseline assessment. After the yoga session their cognitive function was significantly improved. This sounds like it would also translate over to Pilates. 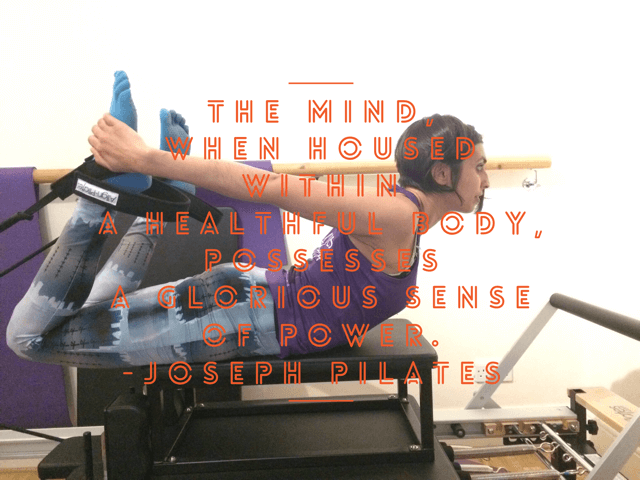 So Pilates could help keep your brain working, it definitely makes you think hard about what you are doing and teaches you a new skill. There is a specific Pilates study on just over 300 subjects comparing Pilates and a “special recreation” exercise class which was a class suited to the subjects exercise ability and needs. This showed that Pilates led to a better ability to regulate mood, a more relaxed state and a better sense of wellbeing. Taking this to look specifically depression a group of 146 women followed a 16 week Pilates programme. Depression scores were measured before and after, showing that Pilates lowered depression. So Pilates is not just great for core strength, for all over body conditioning and for helping rehabilitate after injury. It is also helpful for keeping you mentally alert and is a great way to help regulate your mood.